Many grim stories for children were devised to warn them of dangers. After all, children know mostly love at home, and if they did not read about evil, they would be unprepared. The heavens just wrote a warning in the sky, and the children ought to be attention. So here we have a dangerous asteroid undetected until October 10. This puts a lie to the statistics on the probability of impact proclaimed in recent years. The statistics brandished about the probability of impact are thus demonstrated to be fantasist: they depend upon craters found on the ground. However, most asteroids or comets will explode before reaching the ground (only iron meteorites have a high probability to pierce the atmosphere while keeping their integrity; comets are frozen rubble piles). 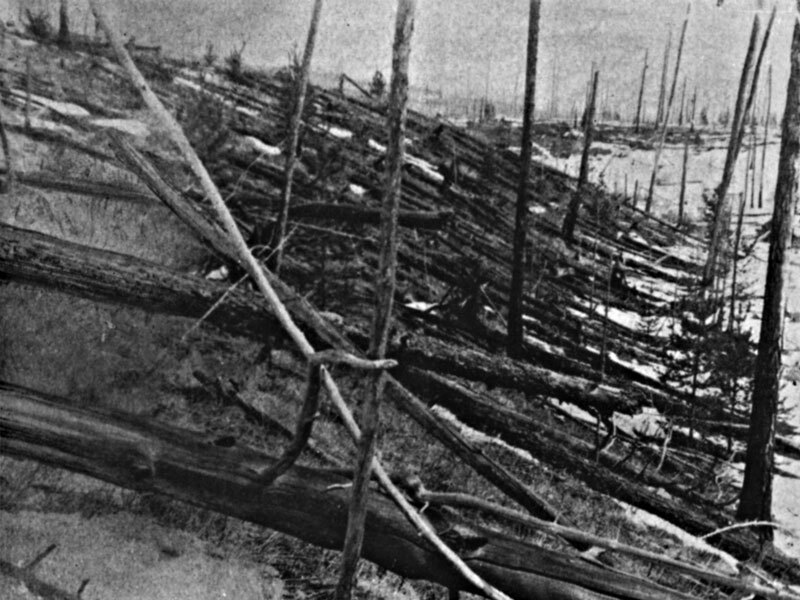 As happened at Tunguska (see below). So one cannot infer from impact craters, the probability of bolides exploding in the atmosphere. How big is the Halloween asteroid? Apparently 600 meters across. And it sneaked in the neighborhood, unforeseen, until 21 days before closest approach. By comparison the Chelyabinsk meteor was a bit less than twenty meters across, with a mass of 13,000 tons. This means the mass of Halloween asteroid was (13,000) x (30^3) = (13,000) x (27,000) ~ 300 x 10^6 tons, that is one third of a BILLION tons. Moreover, it goes particularly fast. Thus it contains at least 1,000 times the explosive power of the Tunguska Event. How much is that? At least 1,000 times… 15 megatons. At least a million times Hiroshima. I don’t believe an asteroid 10 kilometers across extinguished the dinosaurs (the Dekkan Traps did it). However, it certainly did not help them. For the Halloween asteroid which just passed by, had it impacted Earth, the destruction would have roughly the same shape as Tungunska, an evil butterfly, but with ten times the dimensions. Had the Halloween asteroid been aimed at Earth, could we have done a thing? Yes, nuke it. An Ariane V rocket could have been packed with a few 250 kilotons thermonuclear warheads (standard in USA and France) and a supplementary thick casing of Uranium 238 (to boost the explosive power). The whole hellish device to be detonated by a quintupled proximity system, within meters of the asteroid’s surface. A good asteroid and comet detection system would cost the price of a big Hollywood budget movies. It should be in the works. It’s not. Ah, why Ariane V? Because there are always some of these highly dependable rockets ready for launch and it has plenty of spare impulse capability (second best would be the much lighter Soyuz, also always available). Of course the U.S. government could keep some heavy rocket at the ready (but I never heard of such a plan). Conclusion? The western government with independent launch capability (France and the USA) ought to have a contingency plan for such a scenario, including the Uranium casing for a fission-fusion-fission device which could be assembled in hours, and ready to fit in a launcher such as Ariane V. So the technical details should be prepared. The Halloween asteroid proved we may not have much warning, in spite of all the boast to the contrary. The Chelyabinsk meteor sneaked in, and would have sneaked in, even if it had been 600 meters across: it came from the Sun, The Sun’s direction, that is. This is the most probable impact direction (from own math). Don’t ask why there are two suns rising: we told you it could happen. It did happen in Brazil for a couple of events, one of them a triplet. In the 1930s. But, of course, it will not happen: even certain catastrophe (the greenhouse melting) is addressed with a collective yawn. One may wonder why this systematic bias towards unrealism, on the part of scientists themselves. Well they are just trying to please their masters, the politicians, who are themselves little more than employees of the fossil fuel industry (for reference, consider Gerhard Schroder, the Socialist German Chancellor, who became the head of a huge pipeline project with Russia; or the recently elected Strong Man of Canada, Trudeau, a boxer who is all for the Keystone Pipeline, and selling as much tar as he can). The politicians themselves, and the political system they incarnate is well tolerated by the Public, because the Public itself is not interested by the Public Thing (Res Publica). Instead the Public is increasingly conditioned to prefer virtual reality. As I pointed out yesterday, reality is a Black Mamba. It can stand up, and look in the eyes of human beings. And reality is aggressive: denial, far from helping, makes reality ever more vengeful. At some point in the last 27 centuries of Roman law, it became obvious that, to be culprit, one needed a culprit mind (“mens rea”). Well, law should extend the culpability of minds ought to be extended to moods. This entry was posted on November 2, 2015 at 12:58 am and is filed under Astronomy, Systems Of Mind, Systems Of Moods. You can follow any responses to this entry through the RSS 2.0 feed. You can leave a response, or trackback from your own site. Appreciate the mention. I will be responding to your previous post but still letting my varying thoughts percolate through a rusty mind. Rusty with one post a day? Most well chosen? Let me beg to differ… Between us, you are less rusty than most of the hotshots out there on the Internet… Because they often are confusing cute and strident technicalities and real profundities. It’s a total disease out there… Real profundities have to do with seeing with the heart.